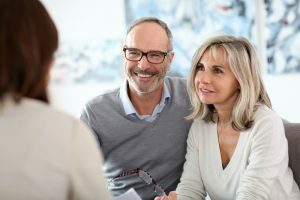 If you’re considering dental implants in Burlington, taking the time to find an experienced, passionate implant dentist will help to ensure that you have a real expert on your side. But with seemingly infinite options in the area, how can you be sure that you are making the right choice? By asking the following questions, that’s how. Keep reading to learn what you should ask any prospective implant dentist before turning your smile over to them! 1. How long have you been placing dental implants? Experience is a valuable thing when it comes to any medical procedure — especially with dental implant placement. No two smiles are the same, and no two cases are the same, either. Inquire about how long they have been placing implants, as well as if they have any case studies to share with you. At our office, Dr. Kostas has been practicing since 2009 and has seen a variety of different types of cases in that time. He is continually adding to his experience to offer truly superior dental implant care for each and every patient. 2. What type of training have you received in dental implant placement? In addition to their hands on experience, you may want to ask whether or not the dentist has undergone any special training or continuing education for dental implant dentistry. There are a number of organizations offering opportunities for dentists and specialists who want to increase their know-how and skills. Dr. Kostas, for example, has reached Fellowship status with the American Dental Implant Association. 3. Can you thoroughly explain the treatment plan to me? As mentioned earlier, dental implant procedures are complex. Unless you have some type of prior experience with implants, you will probably have a lot of questions about how yours will work. Asking your dentist to explain the intended plan to you will work in two ways: it will help you understand what is going on and also confirm that they have a complete treatment plan in place. 4. What are my options in implant dentistry? There are several options available in dental implants, and visiting a dentist who is well-versed in each one will ensure that you receive the treatment that will suit your smile. Talk to your dentist about options ranging from single tooth implants to implant-retained dentures to find out which one is best for you. 5. What type of technology do you use to ensure implant success? Visiting an implant dentist who makes use of the latest technology is important for enjoying the most efficient and comfortable procedure possible. The Cone Beam CT scanner, in particular, helps to increase precision in the treatment planning phase for dental implants. Dr. Kostas creates precise and successful plans using this and other advanced technology. Once you have asked these questions, you can feel good knowing you are choosing an implant dentist who is experienced, passionate, and who makes use of the latest technology for excellent results. And that’s worth so much with dental implants! Dr. James P. Kostas is an experienced implant dentist in Burlington offering comprehensive services through his private practice, Complete Dental Care. To learn more about his treatments or to schedule an appointment, please do not hesitate to get in touch by calling 781-272-0441.